Red Steel 2 was released on the Nintendo Wii on March 23, 2010. It has been 126 days since Red Steel 2's release, and the play-time data below reflects the number of hours reported by Wii owners since the game released. When Red Steel 2 was released, there were two versions of the game available for purchase: the Red Steel 2 software only version for $49.99, or Red Steel w/ Wii MotionPlus for $59.99. Well, it now looks like there will be only one version of Red Steel 2 available for purchase, and it appears to now have a new MSRP/list price. Red Steel 2 has 18,590 players reporting play-time, an increase of 2,766 more players reporting play-time data than from the July 5 data. Red Steel 2 now has 175,777 Total Hours reported, an increase of 29,012 hours since the July 5 data. Red Steel 2's Amazon.com sale rank is #563 and the current selling price is $36.99. Red Steel 2's new MSRP, or "List" price, is now $39.99 for the game only. It appears the Red Steel 2 w/ Wii MotionPlus bundle will no longer be carried once the supply runs out, and it has been discounted to $49.99 now. Red Steel 2's current GameRankings.com review score average is 80.85%, based on 46 site reviews. Red Steel 2's review score average has slightly decreased from the July 5 average of 81.09%, when it had 45 reviews. On Amazon.com, Red Steel 2 has what appears to be a 4.5 out of 5 Star rating; that would put the game at about a 90%, based on 29 customer reviews. I still have not played Red Steel 2(due to monsters). I think the game-play data for Red Steel 2 is pretty encouraging though, especially when considering it is a Wii FPS that does not have online play. 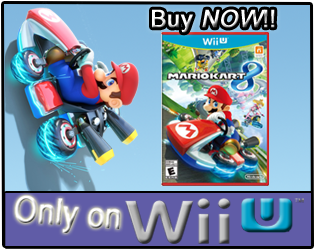 I do find the price drop to $39.99 interesting, as most Wii games seem to drop from a MSRP of $49.99, down to $29.99. If you missed it under the "Sale Rank & Advertised Price" section, it appears that the Red Steel 2 w/ Wii MotionPlus bundle won't be carried by retailers anymore, once the supply is out, but you can find it for $49.99 now. If you played Red Steel 2, would you recommend the game at its new price of $39.99 to Wii owners that own a WM+ accessory already? Also, the average play-time for Red Steel 2 has been right between the 9-10 hour mark; if you played the game, did you find yourself going back to play it again after you beat it? Or, was one play-through enough for you? Having played and beat the game once, I still don't think this price is low enough to justify a purchase. The game is just lacking in content for me, and it's over really quickly. It has little variety as you go on through the game and the story is absolute garbage with no incentive to experience again. Fun gameplay is fun as long as it stays fresh throughout the experience, which in RS2's case, it does not. I gotta agree with ArakniD on this one. 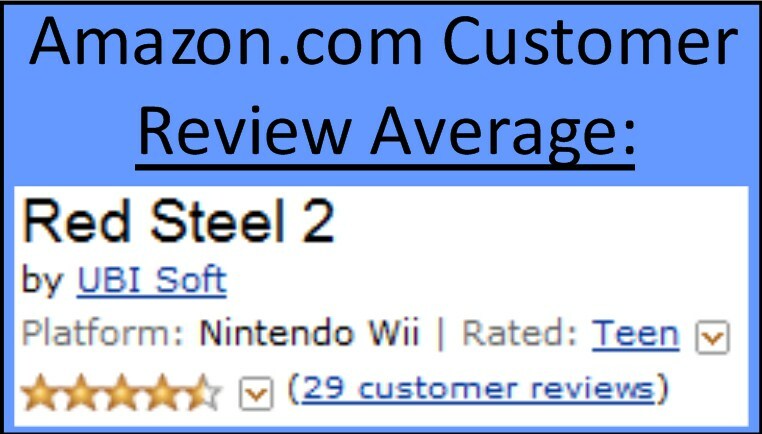 Don't get me wrong, Red Steel 2 is a good Wii game. Combat is fun, the music and graphics are awesome, the cutscenes are good, but in all of this it's just really "meh". I think Red Steel 2's problems boil down to two things. An extremely short campaign, and no replay value whatsoever. Ubisoft said the absence of a multiplayer function was to enhance focus on the single player, but it just doesn't show. This game was begging for some form of online multiplayer. I bought this game at a whopping 60 bucks, and after playing through it, I immediately regretted it. 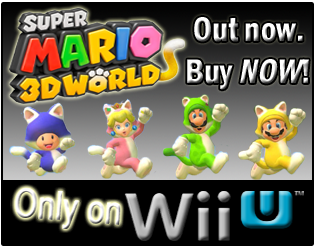 There are better games on the Wii for lower prices. While i'm not saying to avoid Red Steel 2 altogether, avoid it, until it hits 30 dollars. I was very disappointed with this game. While the WM+ sword fighting is fun, this game, I found, was just a one trick pony, and by todays standards not even a full game. It's like a poorly designed half a game. Awful load times all the time, poor story, poor game design (you're forced to keep returning to a base to get more 'missions' which just leads to more annoying load times) and repeatitive gameplay. No online, no multiplayer. Nor is it enticing enough to replay. Basically, a good rental, not worth a purchase unless it's $10 IMO. Would you say Red Steel 2 is a rental or a purchase, just perhaps a purchase at a lower price? "Ubisoft said the absence of a multiplayer function was to enhance focus on the single player, but it just doesn't show." The lack of any multiplayer was surprising, especially when the first Red Steel had it...even though that game wasn't received as well. I remember hearing they delayed Red Steel 2 from releasing in the holiday season of last year(2009) to March, to help iron out the single-player campaign more. Perhaps they were making sure the game controlled like it was supposed to, without it being very laggy or buggy? "While i'm not saying to avoid Red Steel 2 altogether, avoid it, until it hits 30 dollars." Is that $30 for just the game, or $30 for the game and WM+ if you don't own a WM+ accessory? I myself don't own a WM+ accessory yet. "Basically, a good rental, not worth a purchase unless it's $10 IMO." Wow, did you purchase the game, or rent it? Thank you all for the comments and thoughts! Does anybody else view the game differently, and would recommend it at its new list price? I have to agree with most comments. The game is fun but alas it's a one trick pony. They nailed down sword fighting and gun play combos really well and it was fun. But the story and level design suffered for that. By the end you just destroy everyone. It's not worth a second play through. I would still recommend at the $20 dollar price range for sure. WOW, I cannot disagree more with just about every comment here. I think it was a fantastic game, well worth the $50 bucks. I think it's a great value at $40 and a steal at $30. Too Short - Took me about 12 hours to complete which I find the perfect length. A One Trick Pony - between Swordplay/Gunplay/Combos and Kusagari Powers, there is a lot more variety than in most shooter games. Also, the train level was quite different in what it required of you. I would like to have seen a little more like this. All you do is Kill people - See Above, have you played COD? Poor Story - I would still rate it above The Conduit, and the soundtrack, artstyle and overall ambiance allows me to be forgiving here. Poor Level Design - I thought level design was OK, but having a couple be bigger and more expansive would have been better. Not too many complaints for me. Not worth $60 - You didn't pay $60, you paied $50 and got a WM+. Now you don't have to buy the $60 Zelda game and you save $10. If you say it's not worth $50, fine. But I would argue that it not being a value until $20 is smoking crack. Overall I found it to be an amazing game because it does something that nothing else does. It could certainly be improved on but I am not sold on multiplayer as that idea. You would have to set it up as a 1 on 1 dual in Boss Battle areanas and turn it into more of a Tournament of Legends First Person 3D Fighting Game. I am not convinced it would have meshed well with the rest of the gameplay. I hope for a Red Steel 3, I thought it was a terrific foundation to build a truely great game. I also hope that Lucasarts downright steals and reskins this as the next Jedi Knight game. I really do want to play this one, as I enjoyed the original Red Steel more than I thought I would; so I have high hopes for this one. "Too Short - Took me about 12 hours to complete which I find the perfect length." After you beat it, did you play-through the game again? "Poor Story - I would still rate it above The Conduit, and the soundtrack, artstyle and overall ambiance allows me to be forgiving here." I actually enjoyed The Conduit's story, so perhaps I will enjoy Red Steel 2's as well. "Not worth $60 - You didn't pay $60, you paied $50 and got a WM+." I'm not sure if you meant the person already owned a WM+ and purchased RS2 for only $50, but Red Steel 2 was released with two versions of the game: the software only version for $49.99, and the software with WM+ for $59.99. As for the game not having online, I think people would have been happy with just regular death-match mode or even leaderboards incorporated into the game somehow. "I also hope that Lucasarts downright steals and reskins this as the next Jedi Knight game." I wish LucasArts would hurry it up already, I really wish LucasArts and Nintendo would work on a Lightsaber game together. Thank you all for the thoughts/comments! BTW, out of everybody that has played Red Steel 2, did any of you play the original Red Steel? i guess i will try to comment again. This game is great and i am very suprised at the negative commentsit had been getting. It's fun, does something new and looks great.